There’s never been a better time to consider outsourcing the teleprospecting function, always considered the domain of the B2B “inside sales” team. Even when economic and business conditions are good, it still makes no sense to build out an in-house inside sales team that’s tasked with handling inbound leads and making outbound prospecting calls. It’s simply more cost-effective and efficient to hire a professional business development firm to handle this activity to find new prospects. 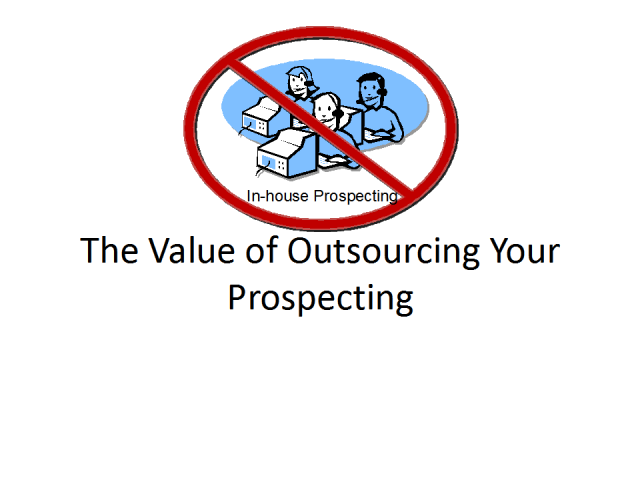 In-house prospecting, viewed from this perspective, is definitely dead, as it should be. Brian Berlin, President, Straightline Strategies, Inc. Presented by: Brian Berlin, President, Straightline Strategies, Inc.